Today's giveaway prize is from one of the nail polish community's own, it's a handmade creation from Tracey, creator of Ginger Kitty Designs! The pendant that she made for this giveaway was all made with CND Colors and Effects!! I'm drooling over it, and I'm so jealous of the winner... though she made me a gorgeous ring with Nfu Oh 51!! Click picture for larger view!! NUMBER 2- If you had any colors of nail polishes in the world to work with, what combination would YOU put together if you could make a pendant?? "I follow The Daily Nail on both twitter AND on blogspot! I've been following for 374 days! If I could combine ANY colors of nail polish to make a pendant, I think I would like to see Zoya Shawn, L.A. Girl Army Green, my franken of American Apparel California Trooper and American Apparel Manila, with just a tiny bit of Essie Alligator purse to set off the greens, and a sparkly gold to add some ribbons of shimmer!!" Products up for giveaway were provided by Tracey, creator of Ginger Kitty Designs, which can be purchased from her Etsy Store! I've been following you since you were featured on Geekologie with the Bacon fingernails! I love to read you every day and have enjoyed all the silly nail creations through out the year! I've been reading for months and clicked the GFC button last week. I would love to immortalize Clarins 230 and OPI La Boheme in a GKD pendant! I don´t remember when I started following the blog, but was a few months ago and it took me 2 days to check the whole archive. Also don´t know which polish I would combine, it´s 8:50AM here and inspiration doesn´t come at that time. I'm a follower and have been since the beginning of the year. That Pendent is beautiful. Gives me a Starry Night kind of vibe. Love it! If I could create my own piece I would use Orly's Goth swirled with Orly's Shine and maybe a touch of CG Fairy Dust for that added holographic sparkle. I've been following since June, and I think your marble design titled Molten Metals from June would make such a cool pendant. (Milani Metal Gear, Molten Rock, Hot Metal and Melt Down.) So awesome! That sure is a very attractive pendant! And the material used is special, too! I've been following since August. I think a combination of CG Phat Santa, Jolly Holly and some lovely swirls of Party Hearty would make a lovely Christmas pendant! I'm a newer follower, but a reader for over a month now. I've been following via GFC for about half a year now. I've been following The Daily Nail for 64 days on blogspot. I'm a follower, and I've been following for about 5 months. I just started following a few days ago, but I've been coming here to see your posts before that. I can't really choose what combination of colors I would have, but I would definitely have a red like Ruby Pumps in it! I have been following you since may. If I could combine any polishes in the world to make a pendant I would definitely go for metallic polishes, since I love those. I would choose one greyish, one black and probably one gold. Pretty basic metallics, but I'm sure it'd look awesome! I'm not too good with the brands and brand names though, sorry. I follow The Daily Nail on blogspot! I've been following for a couple months. If I could combine ANY colors of nail polish to make a pendant, I think I would like to see Ulta alter ego, Maybelline Candy Coated and Orly Virdian Vinyl! I have been a follower for a while... I don't usually comment, just go oooh and aaahhh looking at the photos ! Because it's Halloween time I think I'd combine a bright pumpkin orange and a dark green ! I follow you since december 2009. I follow the Daily Nail and I've been following for a few weeks. I've been following for over a month. I went through your archives immediately when I found your blog. I would choose some sort of dark and bright shimmer reds. I've been reading for 6 months or more and following for a few weeks. 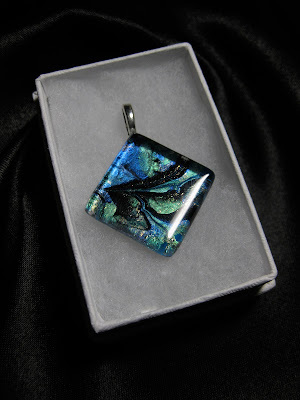 If I could make any pendant, I would use Starry Starry Night, because I love the look of the night sky. Then I would add in a few shimmery colors-maybe NfuOh? to look like space or the northern lights! I've been following since almost the beginning on GFC! I started following you 3 months ago in GFC, that's when I also started my own nail blog. I wanted to follow a blog that has a different approach with nail polishes not just like an ordinary nail blog. I follow you since June. I've been following since April. I've been following since January. I would want a pendent with some silver, gold, purple, sky blue, and iridescent glitter! I've been following officially for a week now but reading for nearly a year. I've been following your blog since you were featured on MSN's homepage a long time ago. I would combine Nfu-oh #56, Essie Starry, Starry Night , Nfu-oh #56 , China Glaze polish Atlantis, China Glaze: Ruby Pumps and China Glaze "Octa Gone Wild". I've followed the Daily Nail for a couple of weeks now through Google Friend Connect. I'd probably use a dark forest green, a lilac purple (or Estee lauder's Surreal violet ooh so pretty) and a shimmery grey. I think that would be spectacular! ive been following since around november 2009 when it showed up in geekologie with the bacon nails. if i could make the pendant out of any color nail polishes, i would use opi oger the top blue, opi gargantuan green, and orly tiara. I've been following for some months by google reader but I'm a quite new follower (I think some weeks) via gfc. As about jewel color combination... well, I had been drooling over essence "meet you in Budapest" (secrets of the past collection), which actually never arrived to Italy..so I would combine that particular shade of teal (my fav colour *. *) with light brown and gold. I follow through GFC as Gwen Wijman. I'm visiting your blog for around 1/2 year. I'd use Orly space cadet and Black. I don't know what else polish is nice with space cadet!! I've been reading every day since a few months in, after I saw the bacon nails on geekology, but technically following for a few days now. I'd probably use a base of black, and swirl in glittery pink and glittery gold to make a sort of starburst pattern. I've been a follower since around April (when I started blogging). I don't have specific names or brands that I'd work with, but I can guarantee it would be a shimmery red, white and blue! I've been following about a year, I found you about a month into the original challenge... I think I'd swirl the new Illamasqua color, Viridian, and some kind of gold shimmer, perhaps . I'd love to see those as earrings! Oh wow, that pendant is gorgeous! I've been following The Daily Nail via GFC and Twitter for months. I started following sometime around the beginning of this year. If I could choose any colors to create a pendant, I'd choose black, OPI DS Glamour, and Zoya Trixie! I've been reading your blog faithfully for 8 months, almost 9! It's gone by so fast. a dark blue, a bright purple and a dark green with a layer of shimmer/flakies. I've been following for about 3 months. If I could combine any nail polishes, I'd pick the Holos from the ChG OMG collection, like OMG, BFF, and L8R G8R! LOL! Just noticed the "no link whoring" here at comment window. Been following since November 2009, BACON! I would probably choose to make a pendant using Miss Marion's Garnet (with clear polish over it to bring out the candy apple of it) and Orly Glitz and Glamour...sort of a glimmering poisoned apple. I would choose to make a pendant from Diamond Cosmetics Chainmail Charm. I got stuck in 3 days of boring training so I painted my nails with Chainmail Charm and admired them everytime I got bored, so a pendant would keep me occupied! I've been a follower since before you had the idea, and I'd use a nice matte black polish to make a set of fake hobbit feet. Do I win? Probably OPI yo-ga to get this blue with sh hidden treasure! I'm a follower for a few month via GFC. I would use "jewel" from Nubar + "pardoxal" from Chanel + a matte black. I've been officially following for a few weeks, but have really been following for a lot longer. I would use hot colors, like red and yellow. I'm not eligible, because I don't have any of the eligible accounts to be veriried, but I had to comment. I've been following the blog from the 2nd week or so and love it. And that pendant is beautiful. I wonder how the nail polish jewelry holds up to time. You know how some plastics discolor or fade. I wonder if it does. I´m a follower thru GFC and I´ve been since I started my blogin August but I think I have followed you from February. Love your manicures! If I should make a pendant I would use some of NfuOhs holographic nail polish, some pink polish, glitters of course and a frosty white!! Hi! I have been following your super awesome blog ever since the Today Show! Well, my pendant has to be glittery and awesome and has to combine my two favorite colors (these were even my wedding colors) so I think I would go with swirling OPI's Catch Me in Your Net (a glittery blueish green that looks like it should be worn by Barbie on her way to a disco party) and OPI's Lucerne-tainly Look Marvelous (a great sparkly silver) together to make perfection! I've been fallowing the Daily Nail since September. I'd put together black and navy blue, because those are my favorite colors and match with almost everything! hi im a new follower! my friend crunkstal who is also a follower told me about you and your awesome ! the colors i would choose is 31 virtual violet sally hansen , carribean frost wild shine andenvy1555 love my nails.i think those colors would look awesome together because they blend well thanks for taking the time to read this!! I've been a blog follower for a little over 2 mos, I also follow on Twitter. If I could make a pendant right now, I'd want it to be OPI Unripened & OPI Catch Me in Your Net - love love those colors! I'd also love a ring with OPIs Damone Roberts 1968 & Alpine Snow! Hi i have been following for about a week now, but i have been veiwing this website for a couple of months. Hi! I've been a follower X a few months. If I could make a pendant, I'd try a mix of burgandy, with deep blues and purples and see what happened. I have been a follower for two weeks now. I think I would swirl together Eyeko's Rain and Petite with a little bit of China Glaze's Midnight kiss...would be awesome! baby blue, light pink and a swirl of glittery white. I've been reading your blog since the bacon mani, but recently joined google friends. If I could franken any polish, I would try to make something similar to Essie's Starry Starry Night. I love blues and shimmer. Hey, hey, hey! I've been following on Twitter and Blogspot for quite a while now! :D If I could combine any nail polishes in a pendant, I would mix Ruby Pumps with...well..Ruby Pumps! Wow, what a gorgeous pendent!! I've been following since about February, and your blog is always one of the ones I look most forward to seeing on my Reader! If I could make a pendent with anything.. well, it would have to have Clarins 230 (my ultimate lemming) in it, I think. Maybe something simple, like black, swirled with it to keep from overwhelming it? :) I also think Charla or her many dupes would make pretty jewelry. I follow since 4 months. I dont have many effect/special finish polishes but I'm almost sure Nfu-oh flakies would look absolutely stunning! I've been following for a few months now and i love signing in every day to see a new post! There's so many nail polish combinations out there i wouldn't know where to start! Looved the idea of creating jewerly of nail polish! I have been following you on blogspot and on twitter ever since I started off into this crazy nail obsession! I have had a lot of color ideas for jewelry from Tracey, actually. I was thinking a pendant made from the CG Tis The Season collection would be a fabulous piece of holiday jewelry. Perhaps Party Hearty and maybe one of the fabulous red and green shades? Something along those lines. Or something with Absolutely Alice in it! I´ve been a follower for 6 months and loving it!!!! I would do a combination with the new pastel colors... blue, green and yellow... but, as I said, all pastel colors... I think it would look great! I've been a follower for about 5 months, and if i could have a pendant made i would use a holographic or flakey black and a holographic or flakey white swirled together. I've been coming to the site since Decemberish and an official follower since these giveaways started (to be honest). Hey! I've been following since May. I would use a bunch of different teals to make mine. Probably Ski Teal We Drop, Yodel Me on My Cell, Suzi Says Feng Shui, Halley's Comet and Choose Me (OPI, OPI, OPI, Orly, Essence). Hi! I've been following for about 6-7 months. This pendant is gorgeous! If I could make my own, I would probably use Sally Hansen Xtreme's Cherry Red and White Out and Sally Hansens' 10-day Cotton Candy. Thanks! Hello! I have been following this blog for about 3 months. :) I don't know the exact polishes, but I would probably use a combo of black, turquoise, some sort of shiny white, and green! I've been following since the yummy bacon nails. Mmm...bacon. If I could make a pendant of my own, I would probably do some black, hot pink, and silver (all sparkly) and try to throw in some zebra stripes. Totally hot, and totally a conversation piece. I think I've been following since last December. I would love to see a pendant made with Clarins 230, aka the infamous Unicorn Pee. It wouldn't need to be combined with anything, cuz it's a rainbow all by itself. ☺ Awesome! I would love a pendant that combined *Green With Envy* from Rimmel London, with *Jumpin' Jade* and *Emerald Forrest* from Sally Hanson, a crazy metallic green set off my too gorgeous matte-esque colours :D.
I'm a follower and I've been reading since sometime this spring. I think I'd like a pendant that layered Rimmel Black Satin, Sally Hansen Laser, and China Glaze Golden Enchantment. I've been following for about a month and a half, and I have to say it's been an interesting time looking at all the designs. If I had my way, I would use pinks, and reds along with some pearl.